ST. GEORGE — Gov. Gary Herbert released a statement Tuesday regarding three Utah Mormon missionaries who were seriously injured in Tuesday’s explosion at the Brussels, Belgium airport. 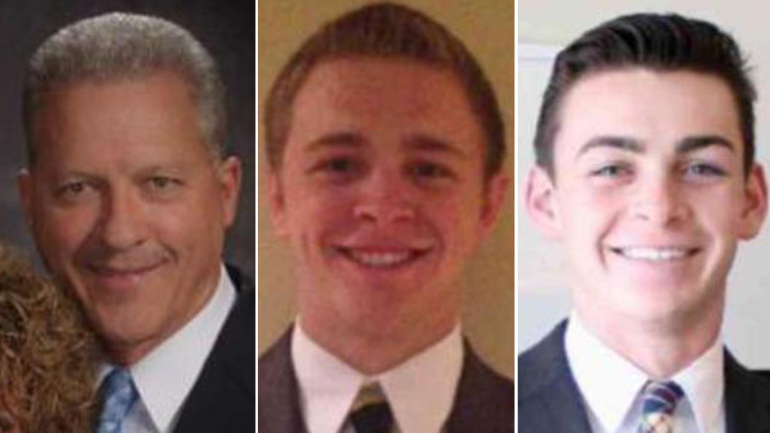 Elder Joseph Empey, 20, of Santa Clara; Elder Richard Norby, 66, of Lehi; and Elder Mason Wells, 19, of Sandy, were serving as missionaries for The Church of Jesus Christ of Latter-day Saints in the Paris mission when the terrorist attack occurred. Jeanette and I, along with the three million residents of Utah, are absolutely heartbroken to learn of this terrible tragedy. We are again reminded that the world we live in is a dangerous place, a place where the War on Terror has never ceased. We join with the rest of the world at this time in mourning for the people of Belgium. It is not uncommon for innocent victims to be targeted in these terrorist attacks, but seldom do we see people of faith who have forsaken everything — family, friends, school and careers — in order to share a message of hope and love with the world also fall victim. To the Norby, Empey and Wells families, please know that the state of Utah is united in prayer at this time for the health and well-being of your missionaries. As Utahns, we stand together with our fellow Americans and those around the world in our resolve to put an end to these acts of terror. The three had been accompanying a fourth missionary who was on her way to a mission assignment in Ohio and who had already passed through airport security, according to a media statement issued by the church. The missionaries were taking Sister Fanny Rachel Clain, 20, of Montélimar, France, to the airport. Sister Clain had been serving in that mission while awaiting a permanent visa for the United States. Brussels LDS Mission President Frederic J. Babin reported that three of the missionaries were in the proximity of the explosion when it occurred and have been hospitalized. With much of the world, we awoke this morning to the heartbreaking news of the bombings in Belgium. Our prayers are with the families of the deceased and injured, including three of our missionaries who were injured and hospitalized. We also pray for the people of Belgium and France as they continue to deal with the uncertainty and devastation caused by the recent terrorist attacks.